The U.S. Virgin Islands is a territory of the United States of America and consists of three larger, main islands and a few dozen little cays or islets. The islands are about 40 miles east of Puerto Rico, 1100 miles Southeast of Miami, and 600 miles north of Venezuela. You’ll find the capital city, Charlotte Amalie, on St. Thomas at 18°21’N 64°57’W. This is the same latitude as Chad, Sudan, Saudi Arabia, India, Myanmar, Thailand, and others. The USVI is home to St. Croix, St. John, and St. Thomas, which each have their own unique island attributes to explore! Part of the Virgin Island Archipelago, the U.S. Virgin Islands are known for their white sandy beaches and beautiful tropical landscape. 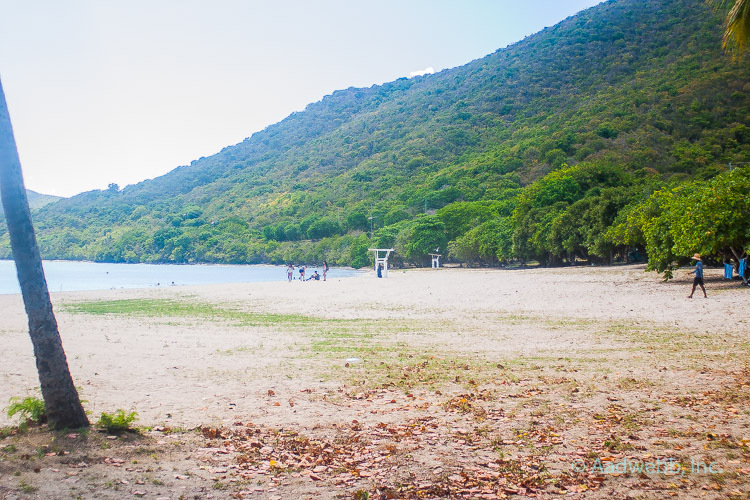 St. Thomas, known locally as the “rock city”, has long, rugged range of mountains that spread from west to east across the island. Crown Mountain rises to a height of 1,557 feet. These large hills present so many opportunities for fantastic views wherever you are on the island. St. Thomas has a large, natural deepwater harbor that can accommodate several cruise ships at once. The island covers 31 square miles, is thirteen miles across and only four miles north to south. 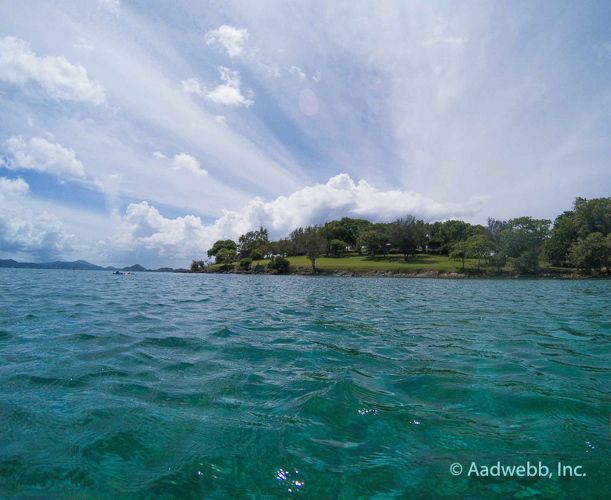 There are a over 40 sandy beaches, many of which are protected from rough waters within a bay. Population in 2010 was 51,634. St. John, known as “Love City”, is the smaller of the three islands. 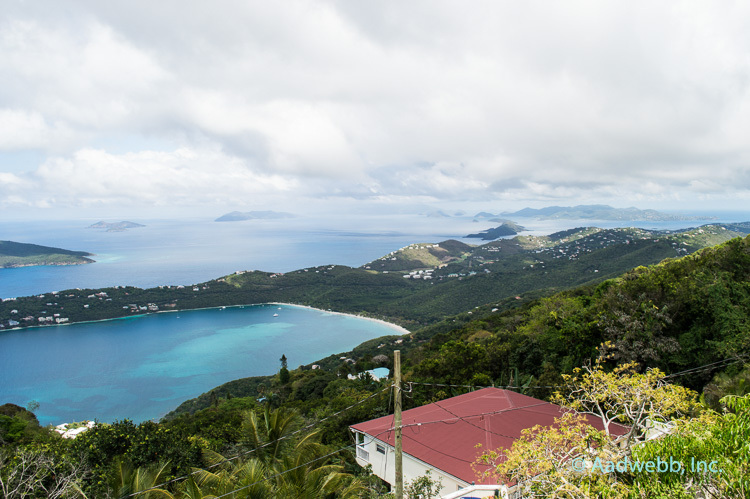 Like St. Thomas, St. John is mountainous and rugged. Two-thrids of the island is a part of the National Park Service called the Virgin Islands National Park. The highest point is Bordeaux Mountain which reaches to 1,277 feet. St. John is 9 miles across and 5 miles wide covering about 20 square miles. Population in 2010 was 4,170. St. Croix is the largest of the U.S. Virgin Islands; it is sometimes called “Twin Cities” for its two towns of Christiansted and Frederiksted. 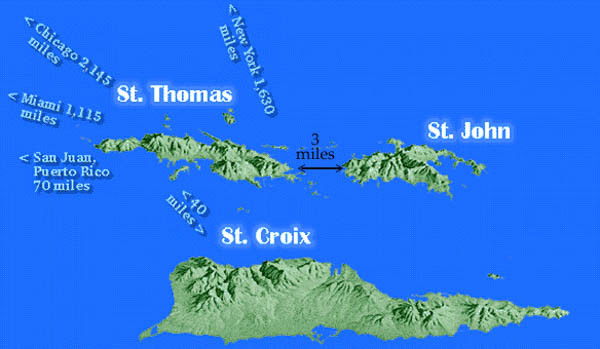 St. Croix is the most flat of the islands and encompasses 84 square miles, is 22 miles in length and 7 miles in width. Its highest point is Mount Eagle at 1,165 feet on the more mountainous north and east sides. The southern part of the island is plains. There is also a 15-acre forest on the west side called the “Rain Forest”. Population in 2010 was 50,601.